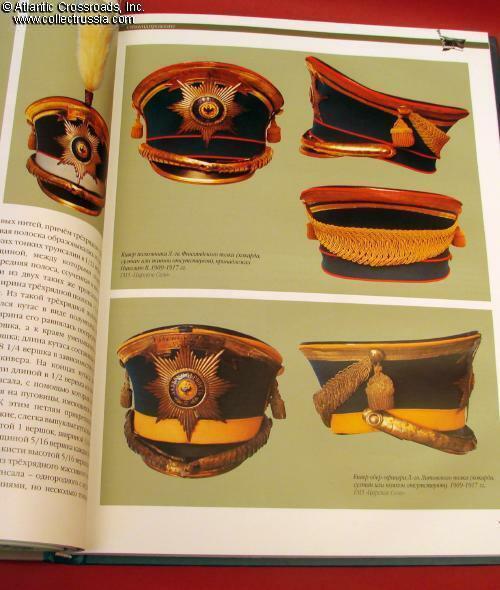 "Guards Infantry, Officers and Generals", subtitled "Uniforms, Equipment and Weapons of the Russian Imperial Army, 1914-1917", by Dmitry Klochkov, C 2012 Moscow. 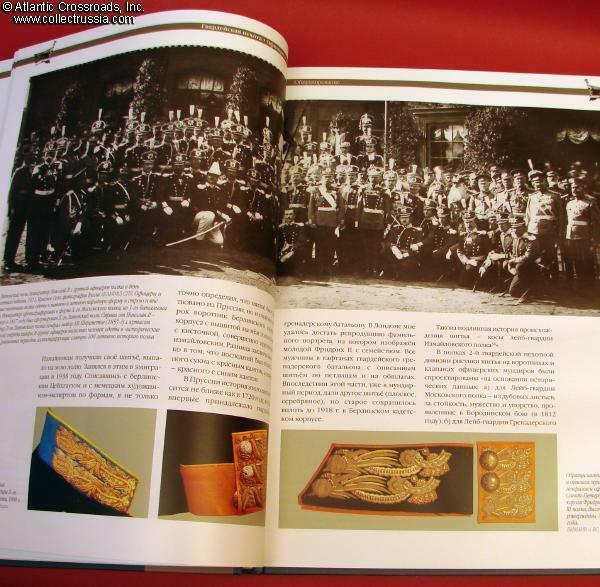 "Guards Infantry, Officers and Generals", subtitled "Uniforms, Equipment and Weapons of the Russian Imperial Army, 1914-1917", by Dmitry Klochkov, C 2012 Moscow. 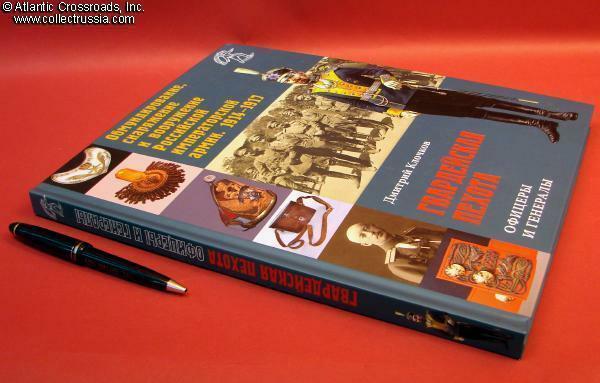 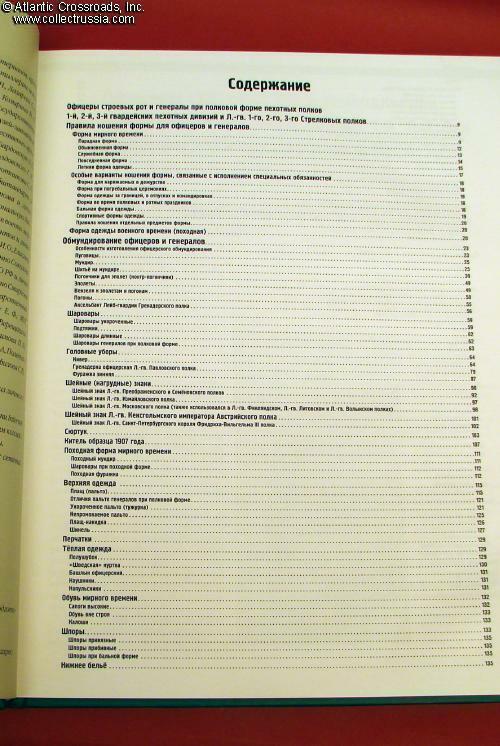 Russian text, large format 9 ½ " x 12 ½" x ¾" hard cover, 269 pp, color photos. 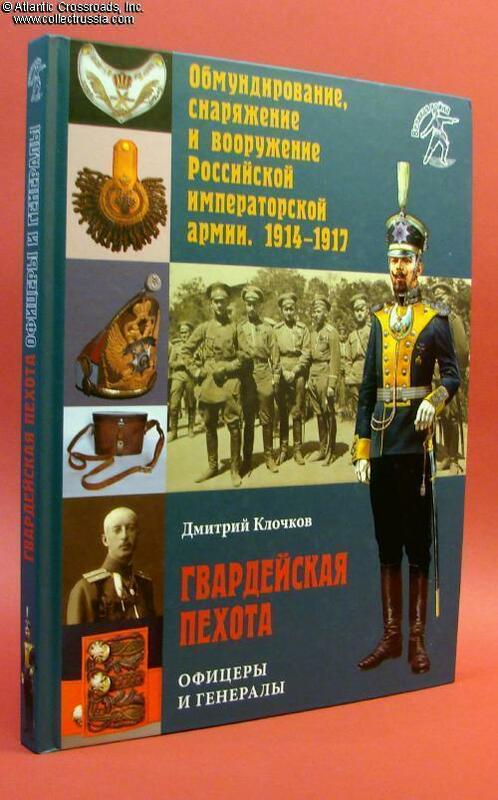 This is a second volume in the outstanding series of books on Imperial Russian Army in WW1 by Klochkov. 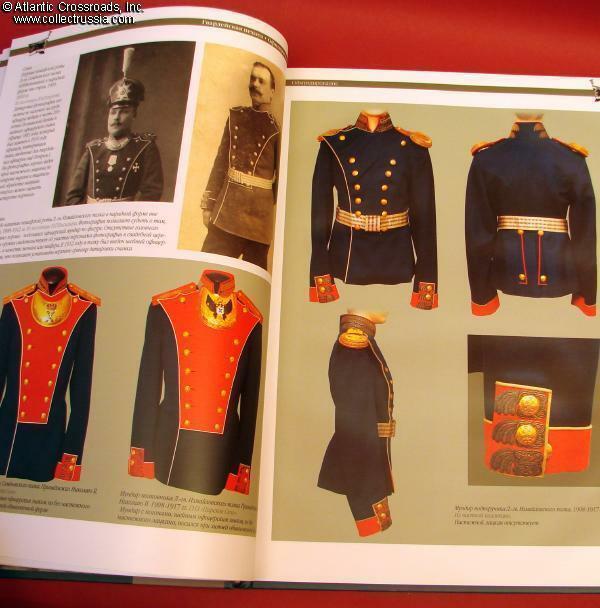 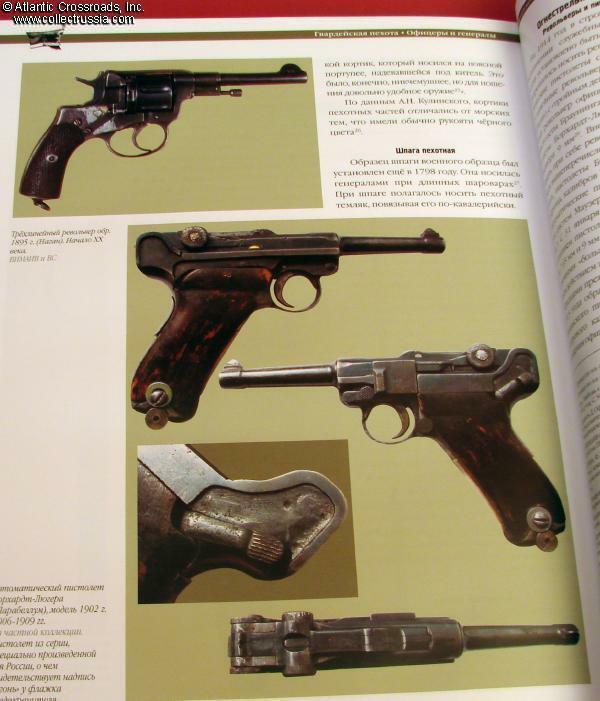 Like the first volume on uniforms of lower ranks, the book contains a great number of color photographs of original items in private and museum collections, as well as pages and diagrams from the WW1 era Russian Army regulations. 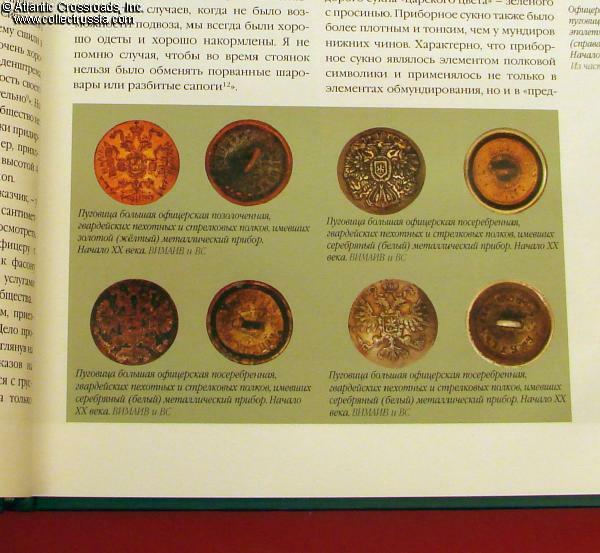 Many of the photos are extreme close-ups allowing to see the details such as the weave of the fabric. 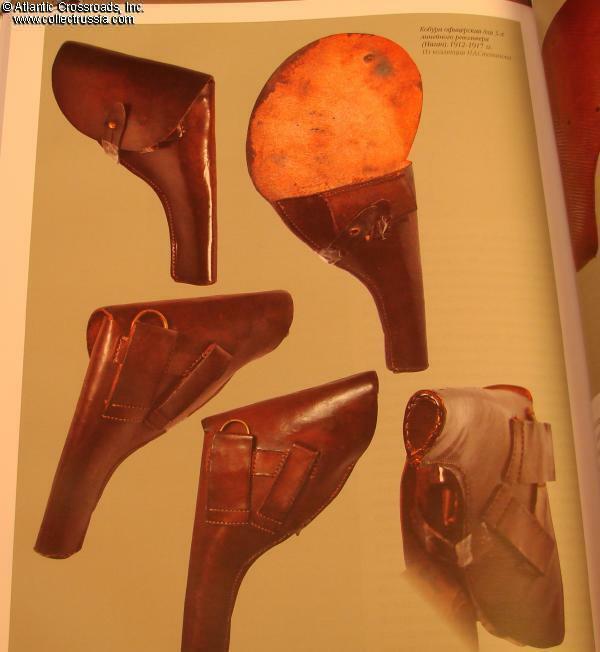 These are augmented by carefully selected period photos which illustrate the real life use of the uniforms, insignia and field gear. 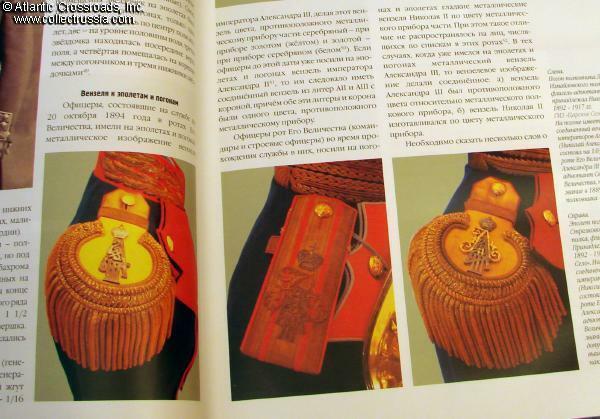 The book covers literally everything from belt buckles and canteens to tunics and caps. 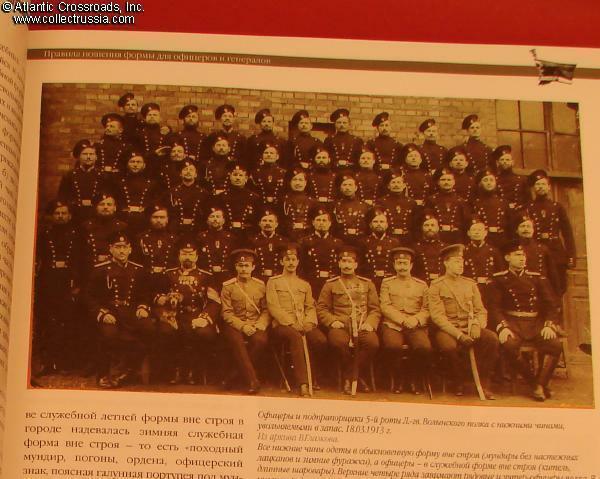 Although the emphasis is on the Guards, much of what is shown was of course also used in the regular army units.